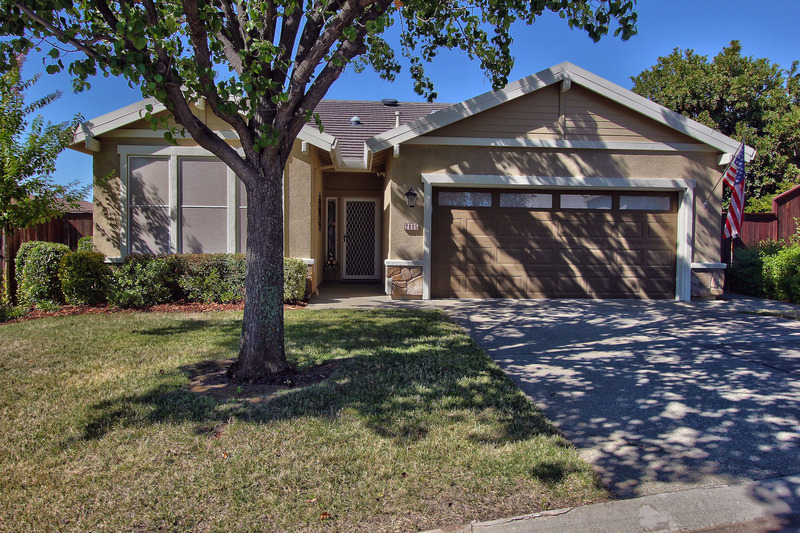 Located in Springfield-Whitney Oaks Active 55+ gated community. Beautiful 2-3 BD. with formal Dining Room on a cul-de-sac with almost 1/4 acre lot. Beautiful home for entertaining outside and in. Wood floors with rock surround fierplace in family room. Rare large lot that is actually big enough for a pool with fruit trees, accent lights and patio wired for speakers. Seven installed cabinets and workbench in garage. Close to golf and shopping. Feel like you are on vacation year around. Must see!